Draft: 1995, New York Yankees, 20th rd. 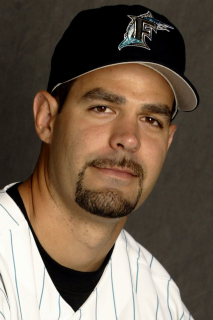 November 1, 2010 1B Mike Lowell elected free agency. August 3, 2010 Boston Red Sox activated 1B Mike Lowell from the 15-day disabled list. July 22, 2010 sent 3B Mike Lowell on a rehab assignment to Pawtucket Red Sox. June 24, 2010 Boston Red Sox placed DH Mike Lowell on the 15-day disabled list retroactive to June 23, 2010. Strained right hip. July 17, 2009 Boston Red Sox activated DH Mike Lowell from the 15-day disabled list. June 30, 2009 Boston Red Sox placed 3B Mike Lowell on the 15-day disabled list retroactive to June 28, 2009. Sore right hip.